Who’s got talent? FHS, that’s who. 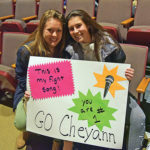 The Fairhaven High School PTO held its annual Fairhaven High’s Got Talent show on Friday, 2/1. 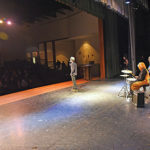 The annual fund-raiser gives high school students a chance to show off their talents, and raise money for the PTO in the process. 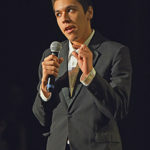 The contest does not grade students on their performances. It’s just a fun time for all. 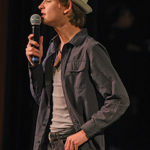 Emcee Kyle Imbeau did a great job hosting the event and introducing the acts and provided some great commentary for the 2019 “Fairhaven High’s Got Talent” show held on 2/1 in the FHS Performing Arts Center. Photo by Glenn C. Silva. 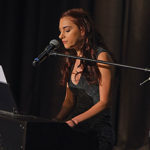 Emma Wynacht plays the piano and sings “I’ll always Remember Us This Way” from the soundtrack A Star is Born at the 2019 “Fairhaven High’s Got Talent” show held on 2/1 in the FHS Performing Arts Center. Photo by Glenn C. Silva. 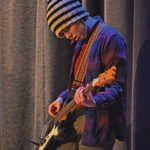 Carson Joyner sings “House of the Rising Sun” by The Animals at the 2019 “Fairhaven High’s Got Talent” show held on 2/1 in the FHS Performing Arts Center. Photo by Glenn C. Silva. 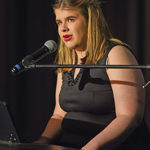 Arianna Dwyer signs in ASL the song “Scars to Your Beautiful” by Alessia Cara at the 2019 “Fairhaven High’s Got Talent” show held on 2/1 in the FHS Performing Arts Center. Photo by Glenn C. Silva. 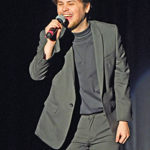 Joey Sebby sings for “The Rats” at the 2019 “Fairhaven High’s Got Talent” show held on 2/1 in the FHS Performing Arts Center. Photo by Glenn C. Silva. 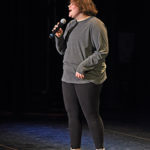 Kaia Short of “The Rats” performs for the crowd at the 2019 “Fairhaven High’s Got Talent” show held on 2/1 in the FHS Performing Arts Center. Photo by Glenn C. Silva. 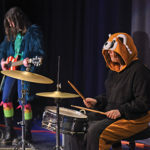 Sophia Siverston drums for “The Rats” at the 2019 “Fairhaven High’s Got Talent” show held on 2/1 in the FHS Performing Arts Center. Photo by Glenn C. Silva. 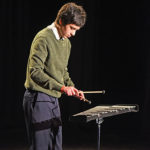 Diego Perry performs classical selections on his Xylophone at the 2019 “Fairhaven High’s Got Talent” show held on 2/1 in the FHS Performing Arts Center. Photo by Glenn C. Silva.